The clay is an important mineral raw materials. Composed by a variety of hydrated silicate and a certain amount of alumina, alkali metal oxides and alkaline earth metal oxide, and contains quartz, feldspar, mica, and sulfates,sulfides, carbonates and other impurities. The clay mineral is widely distributed in rocks and soil all over the world. The world Bentonite resources above 1.3Gt the mainly distributed in the United States and Canada. Kaolin ore reserves of about 1.6Gt mainly distributed in China, the United States, Soviet Union, Mexico, Spain and other countries. Clay crusher in the course of large mill ore from the destruction of part of the formation of 75-25 mm sizefraction, with the ore in the same grain size and gravel with a stone the size of the critical products. Since the grinding process of actually making most of this product are not subject to the next broken. YIFAN is professional minerals crushing equipment manufacturer and exporter, and provides you with a variety of clay crushers, such as jaw crusher for primary crushing, impact crusher or cone crusher for secondary crushing, and vsi crusher for tertiary crushing. Apart from stationery clay crushers, we have a range of mobile crushers for mineral processing. 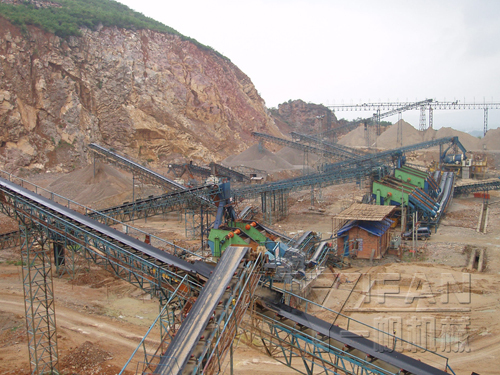 We will design the most optimized clay crushing line for your clay processing plant according to the physical properties and input size of clay ores, the maximum feeding size and processing capacities of crushing machines, and the selected clay processing equipments.